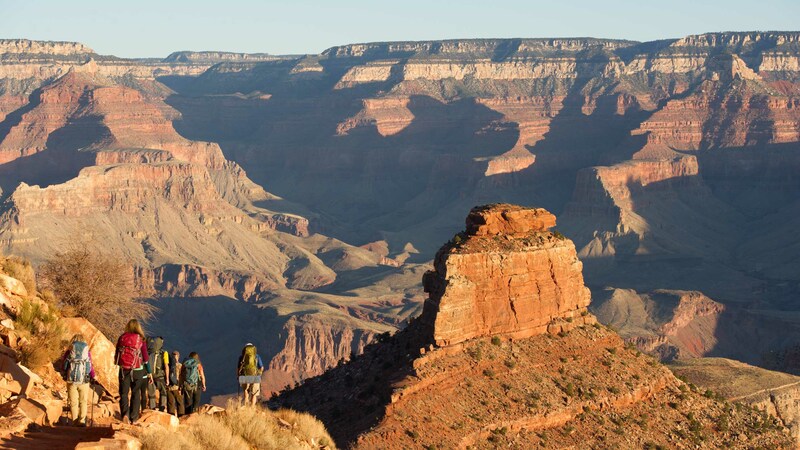 Grand Canyon is an iconic destination for backpackers. Not only is it one of the Seven Natural Wonders of the World, its expansive land area and massive variation in elevation and life zones offer practically unlimited options for routes and adventures. Any camping expedition into the backcountry of Grand Canyon National Park below the canyon’s rim requires a backcountry permit, obtained from the Backcountry Office of the National Park Service. Some popular areas are very difficult to get permits for, these are typically the most easy to access, while others are neglected to the point that the Backcountry Ranger issuing the permit is likely to give you a solid eyebrow raise. 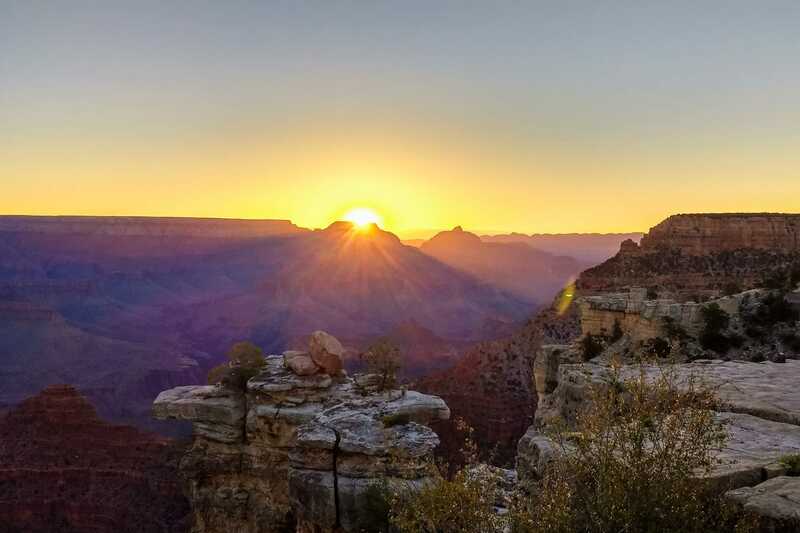 If you’re not sure which style of Grand Canyon camping trip is right for you, click here to learn about all options for camping at Grand Canyon. If you already know you are planning a backcountry trip, this article will explain how to successfully get your permit. These are the most used trails in the park. They are heavily used by visitors and by the mule trains operated by park concessionaires. Because of this heavy use, the National Park Service regularly patrols and maintains the Corridor Trails to maintain safety. The Corridor trails include Bright Angel Trail, North Kaibab Trail, South Kaibab Trail, Plateau Point, and the River Trail. These receive lower visitation than the Corridor Trails, but more than Primitive Trails. The NPS does not regularly patrol or maintain these, but reconstructs sections damaged by environmental forces, or to prevent further trail erosion. Maintenance will also be done to protect historical features along Threshold Trails. The Threshold trails include Clear Creek Trail, Dripping Springs Trail, Grandview Trail, Hermit Trail, Thunder River Trail, and Waldron Trail. These receive the least amount of visitation of all trails. Just as with Threshold Trails, the NPS does not regularly maintain these. They will make repairs when a hazard is present, or to prevent severe erosion, but otherwise the park service will leave these trails untouched. Primitive Trails include such routes as Beamer Trail, Boucher Trail, Deer Creek Trail, Nankoweap Trail, North and South Bass Trails, Tanner Trail, Tonto Trail, and others. If you prefer a higher degree of comfort and a low degree of risk when backpacking, we suggest you stick with the Corridor Trails. Corridor trails offer amenities like picnic tables, restrooms, running water, and easy access to park rangers. If you are fine with digging “cat holes” and treating your own water, your trail options are much more extensive! If you’re new to backpacking, we recommend sticking with the Corridor Trails to begin with, then moving into the Threshold Trails as you gain experience and confidence. All trails below the rim of Grand Canyon National Park are challenging by nature, with steep ascents and descents. Keep in mind that even backpacking on the corridor trails requires preparation and training. AOA’s guided backpacking trips operate on both Corridor and Threshold trails. They are a great introduction to the Grand Canyon for experienced backpackers or even for fit and dedicated first timers. A guided trip will go through the permit process for you so that all you have to do is train, show up, and enjoy the canyon! There are many benefits to going guided, but the biggest ones are around safety, ease of logistics, and the educational component that comes from exploring the canyon with a professional guide who knows it well. To apply for a permit, you’ll need to fill out an application. Applications are accepted as early as the first day of each month, 4 months prior to your proposed start date. There is a limit of 6 people per site or you can apply for a group site, which would be for parties of 7 to 11 campers. 7 to 11 campers. Group sites are very limited in number. Applications for group sites are only accepted by fax at (928) 638-2125, in person at the Backcountry Information Center inside Grand Canyon National Park, or by mail. In applying for your permit, you will need to designate the backcountry “use area” (camping area) by its 3-digit code. You can see these at the bottom of this page. Read all instructions on the application and contact the Backcountry Office with any questions before you send in your application at (928) 638-7888. If you are unsuccessful in your attempt to get your preferred permit, try again. The more flexible you can be with your desired dates and camping areas, the higher your chances are of getting a permit. If you are backpacking the Corridor Trails, and especially if you are wanting to go in May through October, you may have quite a challenge ahead of you…and I don’t mean the hike. These permits are highly valued commodities so be flexible with your dates and, if possible, aim to explore where or when others choose not to. If you still are unable to get a permit, your final option is to go after a “walk-up permit.” A limited number of these are available at the North Rim or South Rim Backcountry Information Centers for Corridor Trail campgrounds only. These are only issued in person. They are available for one or two consecutive nights and cannot be purchased more than 1 day prior to your start date. The center is open daily from 8:00am – 12:00pm and 1:00pm – 5:00pm (MST). Insider tip: Walk-up permits are not always available and you could find your trip delayed indefinitely even after travelling to the Grand Canyon with bells on and permit fee in hand. We suggest asking for a waitlist number when you’re at the Backcountry Information Center. Based on your number, you will get a phone call from a Backcountry Ranger the following morning during which you can choose to request a permit, exchange your number for a new waitlist number good for the following day, or simply ask questions. Waitlist numbers are weighted to those who are already on the waitlist. This means that if it is Monday and you request a permit for Tuesday that is unavailable, you can ask for a waitlist number; let’s say you get #10. On Tuesday, a Backcountry Ranger will call 9 other people, then you. You’ll ask about your permit again and if it is still unavailable, you should ask to be put on tomorrow’s waitlist. You’ll be given a new number that is lower than your first; maybe you get #2 in this example. On Wednesday you’ll get another call and since you are so high on the list, you’ll likely get your permit and be backpacking Grand Canyon by Thursday! In high season and when backpacking on the Corridor Trails, this may be your only option for experiencing the adventure you’ve planned. But, as you know if you’ve read this article, it’s well worth it. Find out information about professionally guided Grand Canyon backpacking trips. Visit the Park website to learn more about planning a backcountry camping trip at for Grand Canyon National Park, as well as view trail maps, safety tips, and backcountry updates and closures.